Since there are no per se levels for driving under the influence of prescribed medications, how is any patient to know what levels are safe and what levels are lawful? 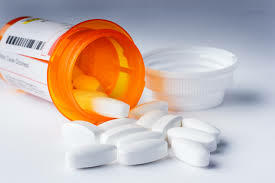 Most drugs that directly affect the central nervous system will carry warnings of the prescription bottles not to operate machinery while taking the drug or in some cases not to operate until you become accustomed to the effects of the drug. It is important to consult with your doctor to determine whether the medication you are taking and the doses that you are prescribed will affect your ability to safely drive. Blood levels of drugs are measured in nanograms per milliliter of blood. Each drug has a therapeutic range, a toxic range and a fatal range. For drugs that affect the central nervous system, it is generally conceded that impairment exists for most people in the toxic range or above. Impairment in the therapeutic range is highly individualized and drug specific. Being in the therapeutic range for a drug like Ambien would mean that the drug was having it’s desired effect –sleepfulness; which would certainly be impairing for the purposes of driving. On the other hand, being within the therapeutic levels for an anti-anxiety medication may make the individual a better driver. “To prove that the defendant is guilty of this crime, the People must prove that the defendant drove a vehicle and when he drove, the defendant was under the influence of a drug. A person is under the influence if, as a result of taking a drug, his or her mental or physical abilities are so impaired that he or she is no longer able to drive a vehicle with the caution of a sober person, using ordinary care, under similar circumstances. The manner in which a person drives is not enough by itself to establish whether the person is or is not under the influence of a drug. However, it is a factor to be considered, in light of all the surrounding circumstances, in deciding whether the person was under the influence.